Ms. Inglish has 30 years of success in medicine, psychology, STEM instruction; and aerospace education for Active USAF Civil Air Patrol). Just a few years ago, I found a local Kindergarten classroom equipped with computers for each of its 20 students. The classroom teacher and two aides gave instructions and patiently sat with the children, who seemed to grasp the computer concepts and fly with them. Basics are more advanced than ever! Today's high school students are often instructed to eschew multiplication table knowledge and access a handheld or online calculator instead. What if the electrical power is interrupted or no more batteries are available? That is a problem. 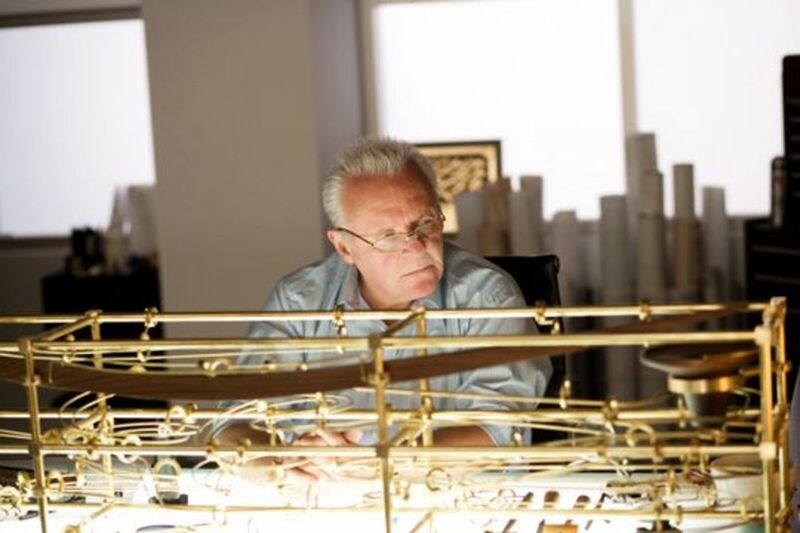 This accompanies the inability to make change in a retail transaction, since power outages kill the computerized registers and the ability to make transactions in retail and dining establishments. No one knows the "cigar box" method of sales from lemonade stand of yesteryear any longer. During power interruption events in restaurants, one often hears a blurt of "We've lost cash control! ", which means that the tills and receipts of the day cannot be reconciled, because there is are no longer any records -- Perfect day for a theft. And how about those that cannot tell time without a digital readout? We hope our technology will always work. 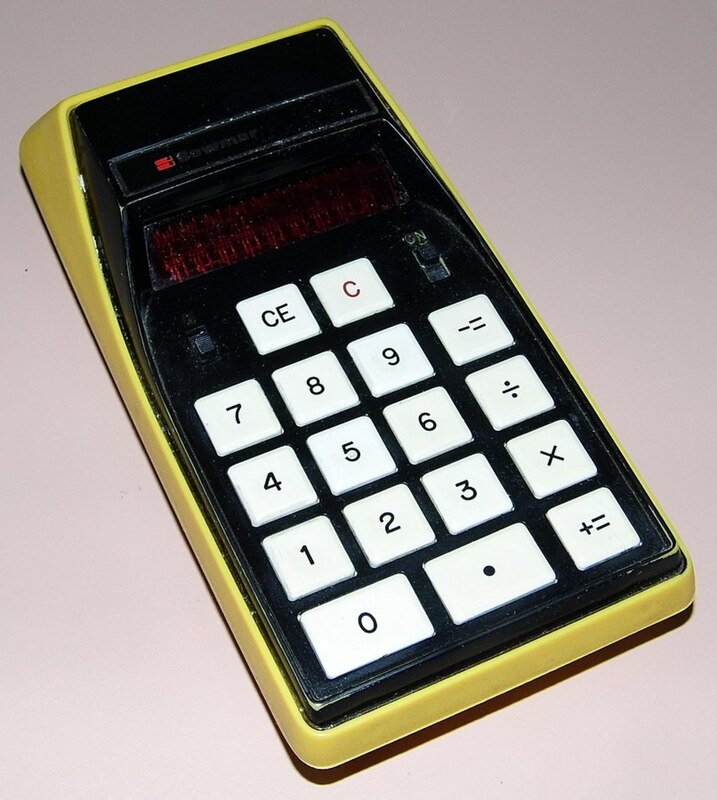 The first widely accessible handheld computer was the Bowmar Brain, which sold for about $200 in the late 1960s. That was about 125 times the hourly minimum wage in the United States. Vintage Ad, mid-1960s. 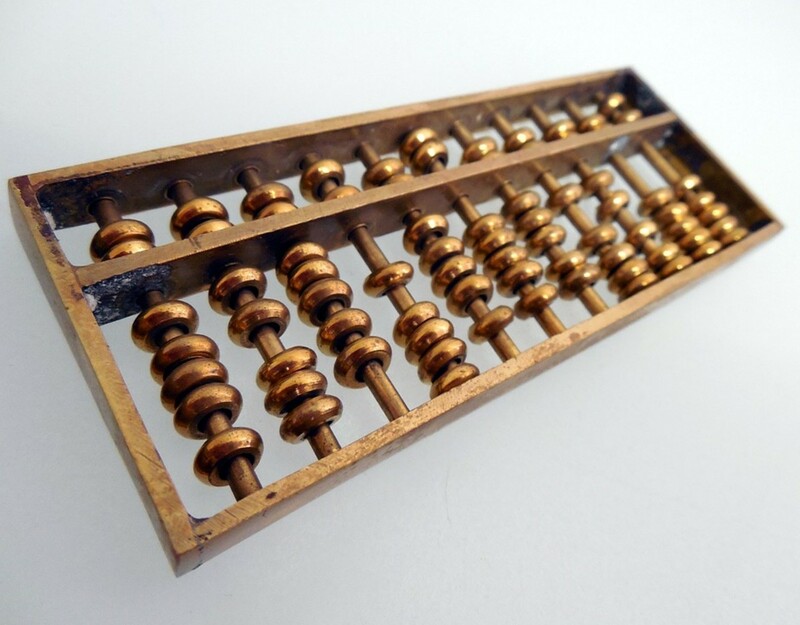 These simple calculators cost nearly $200.00. In the 1980s, computers seemed like magic boxes. Technological gadgets are great, but one must know how to use them or have the foundation knowledge necessary in order to figure them out. As children in a science lesson, we were given each a compass and asked to determine a direction in which a paper arrow on a desk top pointed. I'd never previously seen a compass and did not know what it was, nor how to use it. Our teacher would not tell me what it was or how to use the compass, but the Boy Scouts in class had no problem and ignored those of us that had no compass experience.They though we were "stupid." On her first day of this, her first job, she was thrust into the busy Drive-Thru window area that had only a computerized cash register. She could not work it, because she was without any training for any position. She was given the admonition, "Figure it out!" She immediately left work, crying, and called her dad at his business office. The lawsuit resulted in enough funds to pay for her college education. Since that time,. 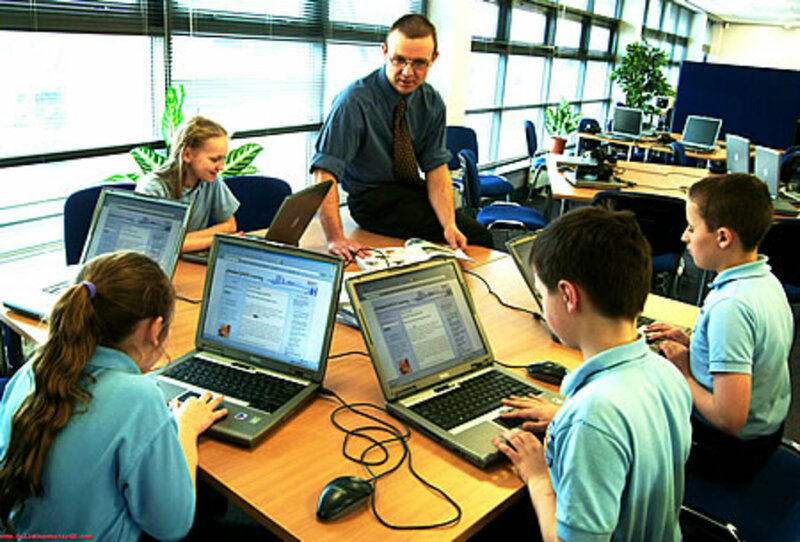 most teenagers have quickly begun to use computers in the classroom and on their own. If you look for the famous Bowmar Brain handheld calculator from the late 1960s-early 1970s on eBay, you'll find a handheld that looks like those available at Family Dollar for $1.00, except for the appearance. The original BB sold for about $240 or more. Today, you can purchase a high-quality graphing calculator for much less for companies like Casio, HP, and Texas Instruments (TI). The first graphic calculator was the Casio fx-7000G from 1985. Hewlett Packard then developed the HP-28C and several newer models up until today. The HP 50g developed in 2006 includes a computer algebra system that manipulates symbolic expressions and solves equations. Texas Instruments has a long line of graphing calculators dating back to 1990. In the 21st Century, a growing number of high schools in several countries are requiring students to own a graphing calculator, which they may even use on some exams. This may be fine, but in college when my calculator batteries died, I was still able to complete a graphing problem by hand, because I had practiced paper and pencil methods at length (because I never trusted batteries 100%). How many of us can do these graphs without a calculator these days? I'm thinking the numbers are dwindling. Some elementary schools are allowing students to use handheld calculators in classes, but your area may reserve calculators until middle school, usually 6th - 8th grades. The TI-73 Explorer is a good model and can be purchased new or used at decent prices. It is superior to the TI-15 which has an inadequate display. Some schools receive grant funding to help defray the costs of these units, just as they have with laptops in years previously. Offers at least seven types of graphs; pie charts, bar charts, etc. ; graphs four different functions at the same time. Several fraction and decimal features. One and two-variable statistics models. Compatible with CBL2™ and CBR™ systems. A number of available Apps. 64 × 96 pixel screen. The next step up (to high school and college levels) in Texas Instruments calculators is the TI-83 or TI-84, but this Casio model is preferred by many students and teachers alike. 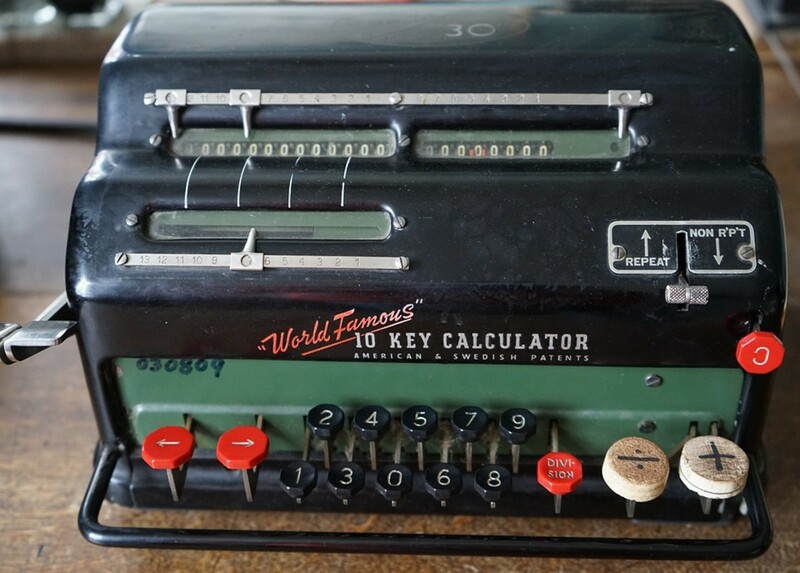 More user friendly than the TI-83 and TI-84. A bit faster than the TI 83. Three-color display and 128 x 64 pixels. 900+ advanced functions: statistics, regressions, financial, and more. Graphing functions including rectangular and polar coordinates, vertical lines, and more. Dynamic graphing system lets you change a coefficient and watch the graph change. EQUA allows the student to calculate 2 or 3 equations, solve for 2 or 3 unknown variables, and solve quadratic and polynomial equations. 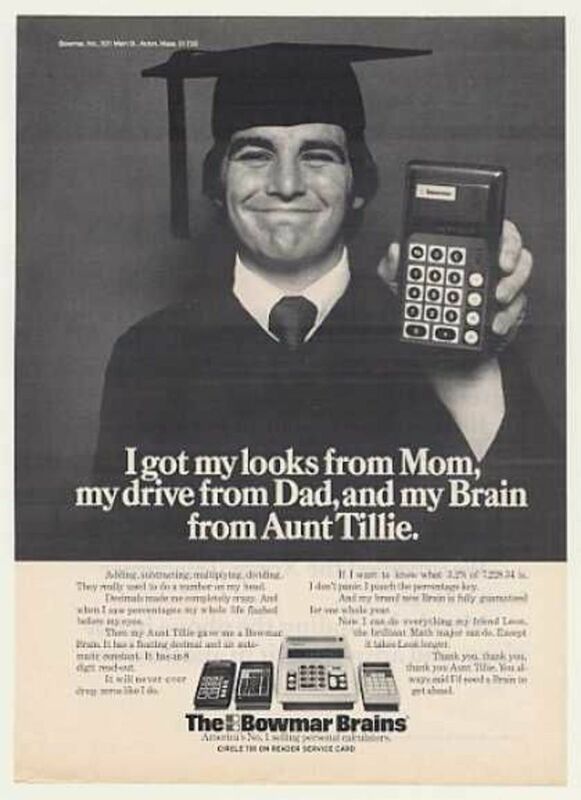 Black and white models are cheaper than the TI-83. Stores up to 38 programs. I have a Casio FX-9860G and enjoy using it. 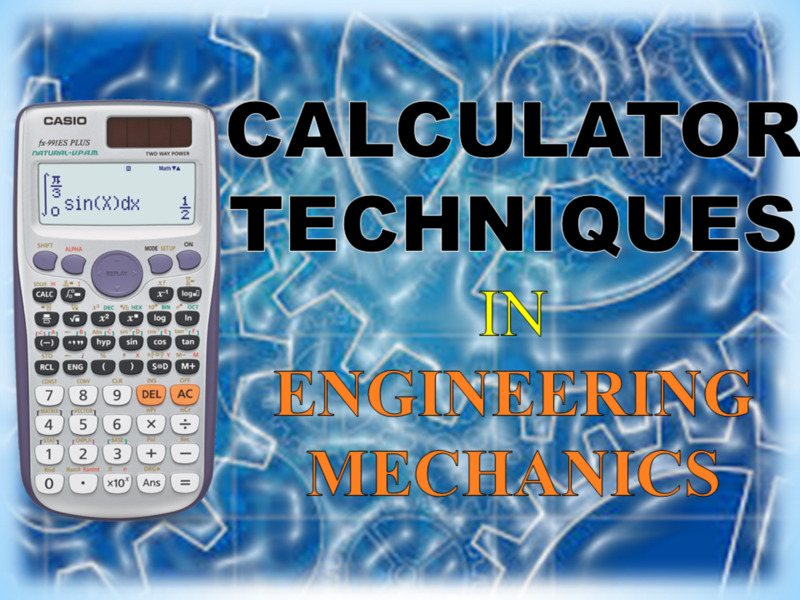 it is a graphing calculator allowed on all major exams like AP, SAT I/II, PSAT/NMSQT, ACT and state level assessments allowing graphic calculators. Suggested Courses for the FX-9860G Graphing Calculator include Pre-Algebra, Algebra I and II, Geometry, Trigonometry, Calculus, Statistics, Biology, Chemistry, Physics, Finance and Business. 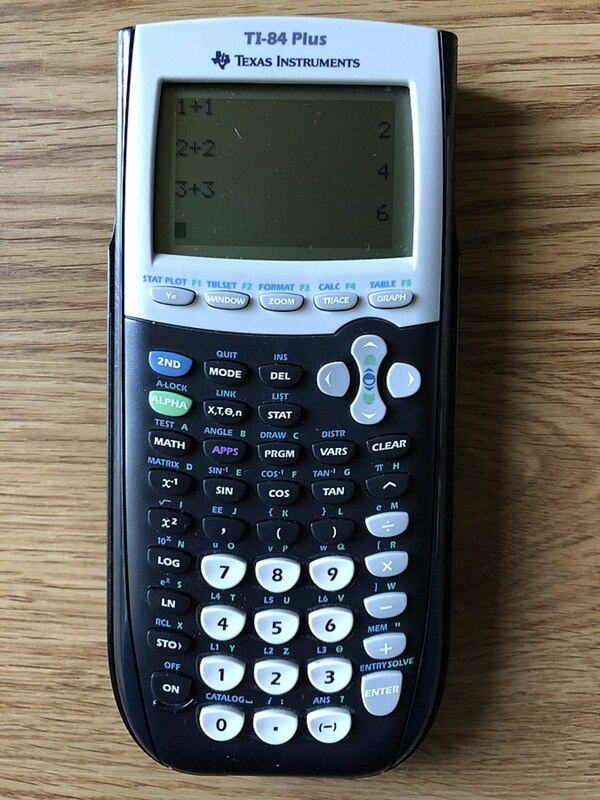 This is another good alternative to the TI-83 and TI-84. A 2.5 MB memory with 512KB RAM, 2MB flash. RPN, Textbook and Algebraic entry; multiple fonts. "HP Solve" App - type and store an equation and use later. SD card slot - format card right in the calculator and expand the memory. Calculate advanced expressions and view solutions in 2-D or 3-D.
USB port, USB cable, connectivity software, and pouch. While I like the TI-89 Titanium edition, it's likely too much power for a high school, even an Advanced Placement class; unless the student is sure to be using the device for a number of years and can master its functions. The TI-84 Plus is a good range of models (various colors). It is authorized for use in America on the PSAT, SAT, and ACT exams, AP tests, and IB exams. Three times the memory and twice the speed of the TI-83 Plus. Can produce 10 different graphs and analyses at one time. Offers 7 different graph types and a horizontal or vertical split screen on demand. 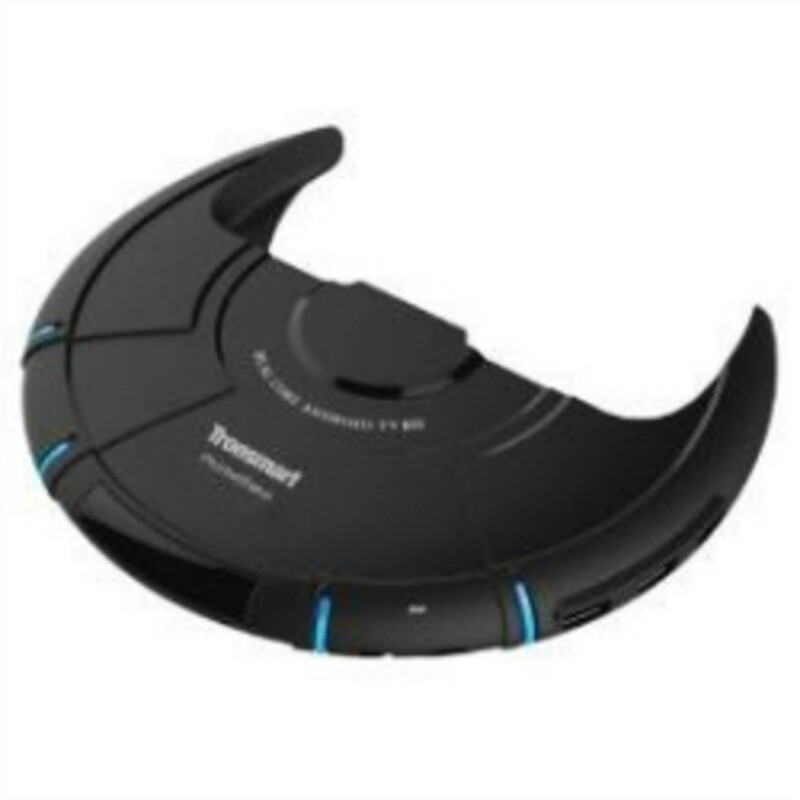 Includes a USB cable and a built-in USB port for connectivity. Preloaded Apps include Cabri® Jr., StudyCards™, Vernier EasyData™ and others. Does matrices, business functions, statistics. Unit is compatible with TI Presentation Link™ adapter. Includes a one-year limited manufacturer’s warranty. 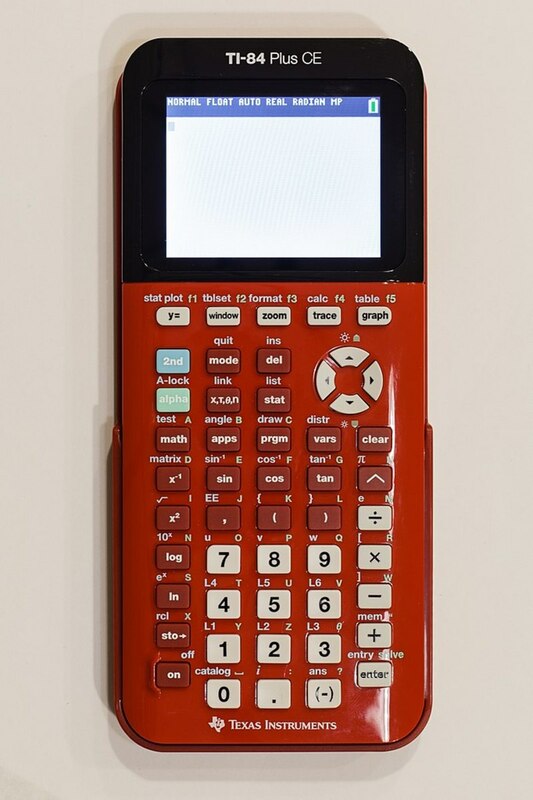 The Voyage 200 is a larger handheld model of calculator, primarily for advanced high school STEM* classes, for college, and for engineering work. 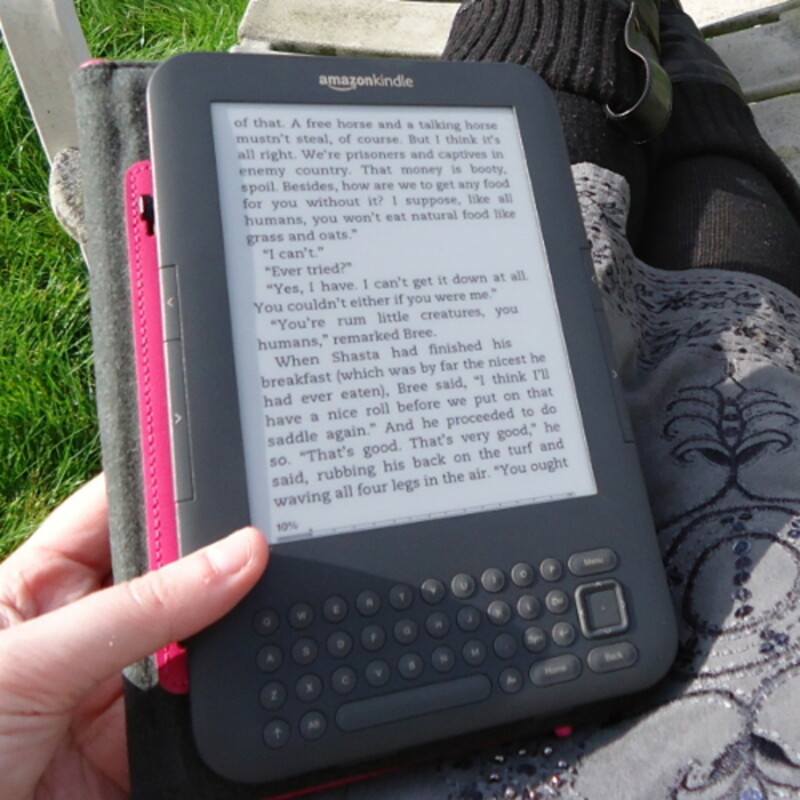 It has a larger display than average, with a QWERTY keyboard that is not permitted in all test taking situations, especially standardized testing. Check with your school. Advanced mathematics and statistical plotting capabilities. Availability of a large number of advanced Apps. Pretty Print feature: equations and results with radical notation, stacked fractions, and superscript exponents. Active Calculator Home history screen can hold up to 99 previous entries. 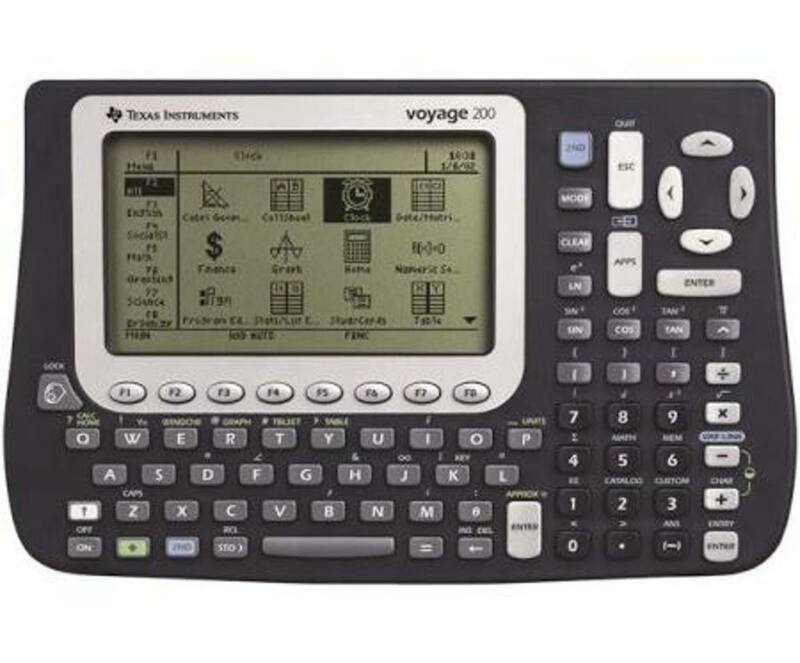 I currently have a TI-84+ but i want a calculator that Can graph imaginary number, which i am pretty sure is called an argon graph, i Think the TI-89 and the Voyager 200 ones have it. But out of All the calculators that have argon graphs if you ignore the cost then which one do you Think is the Best? Very useful information! Thank you. For me, i cant go past the TI Nspire CAS, although i do realize that it is disallowed on many standardized exams. Interesting review. The math team I coach has won a number of events at the state championships exclusively using the TI-Nspire CAS, so I'm still pretty partial to that. I do really like the Casio 9860GII as well. Thanks Julie, that's quite helpful info! I teach college freshman and developmental math. The TI-84, 83, and old 85 are the best for my students. The new TI-89 is too complicated, and since it's programmable you can't use it in the big standardized tests. The TI-84+ is plenty powerful for algebra, trig, and even calculus. Thanks for the hub. It's really helpful, especially now because school starts. Very educative. Well, technology is reshaping everything. @Hello, hello -- Yes, yes! You have made me laugh out loud with that truth. @eovery - Trying to trick me, eh? LOL! Very informative. I got a great make it is called 'My Head'. My son always needs it. Times surely change with technology. Thanks for all the great comments! I guess I never thought that caclulators would be required in classes when I was a kid. It's funny when we were kids we were not allowed to use a calculator, we had to work it out in our head. No kids can not be without one. Great Hub. Thank you for this Hub. Very true, the next generation can scarcely count change back. Perhaps the lack of doing figures in one's head, is why people can no longer reason for themselves in the mainstream public...woah. I need to bookmark this hub as I think I will be in real need of this one when my daughter will start going to main school. Thank you Patty for doing a favor by creating such a useful hub. Glad your son likes his TI-90! ah, you missed the IT-90, the best calculator ever built. Trouble is my son has it, and I have trouble running it.